When police arrest high-level politicians for driving under the influence of alcohol in Los Angeles, the press takes notice. Tragically, two major politicians last week found themselves in handcuffs, facing serious charges (and jail time) for DUI acts. 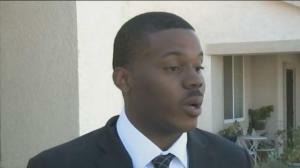 Today, we’re going to focus on the arrest of Michael Tubbs, the youngest person ever elected to Stockton California’s City Council. Allegedly, Tubbs tested at 0.137% BAC, nearly double the legal limit of 0.08% as defined by California Vehicle Code Section 23152. Tubbs issued a contrite statement: “I would like to apologize to my friends, family, colleagues and most importantly, to constituents of Stockton that I’ve let down. Per local reports, a CHP Officer stopped him on Highway 99 for speeding and found that he smelled like alcohol and could not competently talk. He booked the councilman to San Joaquin County Jail. Tubbs had been hailed as a community success story. Even though he was born to a teenage mother and a father who was jailed at the time of his birth, he defied the odds and ended up going to Stanford. Oprah Winfrey even contributed $10,000 to his election campaign. In terms of what effect this arrest will have on Tubbs’ political career, freedom and life… it’s obviously impossible to say at this point. However, this story does highlight one of the great truths about DUI defense. A single poor decision or just an act of forgetfulness can lead to diverse problems ranging from higher insurance rates to massive fines to extensive legal bills to job loss. Fortunately, you may be able to challenge DUI charges on numerous grounds, depending on what happened. For instance, someone like Tubbs might be able to argue that the breathalyzer test had not been calibrated properly, perhaps, or had been inaccurately recorded. To create smart and effective response, call a qualified Los Angeles DUI defense attorney with the Kraut Law Group immediately to schedule a consultation with a former Deputy District Attorney.